Mr. Parker was born in Newport News, Virginia and raised in Hampton, Virginia. He graduated from Kecoughtan High School in Hampton. While attending middle school he realized he wanted to be a band teacher. Lorenzo enjoyed watching his middle school and high school director work with students and help them to reach their musical potential. After graduation from high school he attend Chowan College, a Junior College in Murfreesboro, NC. There he majored in Music Education as a saxophone player. During that time Lorenzo met Mr. Joe Brown who inspired him to also play the flute. He graduated from Chowan College with honors, including making the president's list and being named to Who’s Who in Junior Colleges. After his two years at Chowan Lorenzo transferred to Virginia Commonwealth University in Richmond, VA. While at VCU he had several opportunities to perform with musical groups on campus and in the Richmond area. Upon graduation from VCU he began working in Virginia at several high schools. One day while on the campus of VCU, he attended a job fair. There he met a recruiter from the Dallas ISD, who offered him a job. Lorenzo accepted and has been teaching in DISD since. His first job was band director/music teacher at Withers Elementary School in Dallas. This was a wonderful experience for Lorenzo, where he met many wonderful parents, students and co-workers. Musically his band performed many wonderful concerts. Following Withers Elementary he became a band director for schools in the Hillcrest High School Cluster. He spent most of his time at Franklin Middle School and Hillcrest High School. While there his bands received superior and excellent ratings in competition. Presently Lorenzo is the band director at Molina High School. He has enjoyed working with his students in both marching and concert band, achieving Superior and Excellent ratings in state and local competition. This will be Lorenzo's last year of teaching, retiring in May. He has enjoyed it, learned from it, and will miss it. He looks forward to continue growing musically, enjoying and appreciating music. 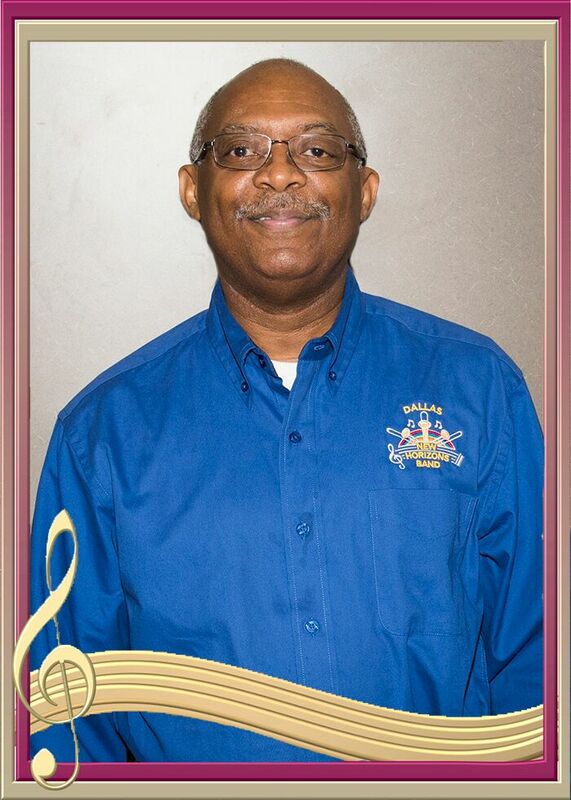 Mr. Parker has also participated in the following musical ensembles: Dallas Czech Band (Conductor), Frohsinn Kapelle Band, North Community Band, Heritage Brass Band and Lovers Lane Jazz Band. Musical organization memberships include Dallas Music Educator Association, Texas Band Director and Texas Music Education Association. Although a native Texan, Mr. Geyer is a former resident of Los Angeles, CA and Las Vegas, NV where he performed as a professional musician/conductor. His background includes stints with the Harry James, Orrin Tucker, and Don Ellis Orchestras, as well as such shows as My Fair Lady, Can-Can, Stop the World, Gypsy, Lenny (Original L.A. Stage production), Fiddler on the Roof, and numerous others. He was conductor/leader of one of the Las Vegas Strip Relief Orchestras, is artistic director/trombonist of "Classical Brass, ETC." brass quintet. In addition, Bill has performed with numerous symphony orchestras, dance bands and Broadway show orchestras around the USA. His orchestras have accompanied such personalities as Bob Hope, Frankie Valle, Jose Feliciano, Gladys Knight and the Pips, Conway Twitty, Paul Williams, Anne Murray, Connie Stevens, Lola Falana and many others too numerous to list. Mr. Geyer's educational background includes a Bachelor of Music degree in instrumental performance from Sam Houston State University in Huntsville, TX and a Master of Music Education degree with a minor in trombone from the University of North Texas in Denton, TX. Mr. Geyer is very serious about music education for everyone and especially about keeping the big band, and concert/classical music alive. 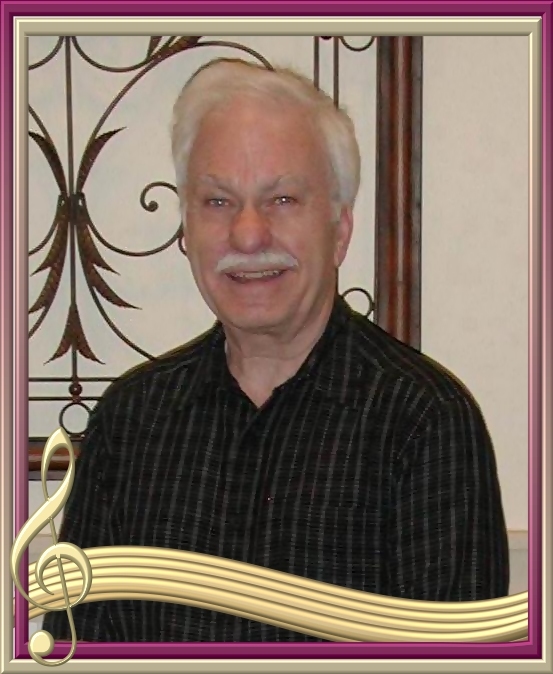 He is also a retired school music teacher, he still conducts and performs with various musical ensembles. Mr. Geyer and his wife Evelyn reside in North Dallas, Texas. The New Horizons Concert Band and UpSwing Band lost Bob Austin on Saturday, April 19, 2008, following a massive heart attack. Bob was so instrumental in making vast improvements in the performance of both bands. He loved music and he loved the bands. 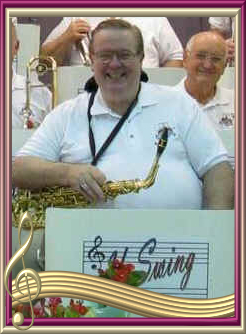 He will be sorely missed both as a director and as a player in the UpSwing Band by all members of both bands. Bob was born in Houston, TX. and raised on a ranch in Northern Kansas. He received his BA in piano at Wichita State University, his MA in saxophone and his ABD in Coral Conducting at the University of North Texas. In his musical performance career he played with the last of the "Big Bands" on the road, including Stan Kenton, Woody Herman, Larry Elgart, and Buddy Morrow! Bob's conducting experience included directing the International Ice Capades. He was well known in the area for his musical performance and directing in local musicals and recitals for public benefits. Bob was also Choirmaster/Organist at St. Anne's Episcopal Church in Fort Worth. He is survived by his wife Barbara Hallie Austin; his parents, Loren and Vivian Austin of Salina, Kansas; his "children" Scott Uhrig, Robin McBride and Warren Spiker; and his grandchildren, R. Ryan McBride and Emerson Spiker.